Round neck top by GANT with 1/2 length sleeves. 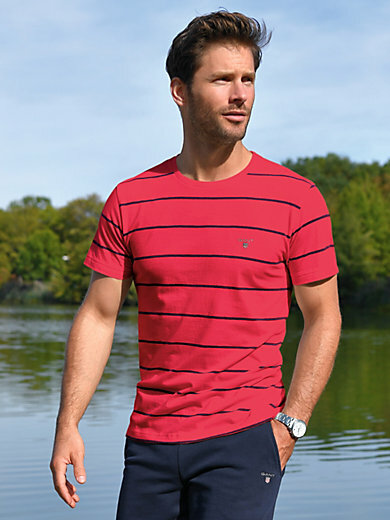 Breathable and soft, made from striped jersey in 100% cotton with the GANT logo at the front. The round neck top is machine washable. Sizes: 48 (S), 50 (M), 52 (L), 54 (XL), 56 (XXL), 58 (XXXL).